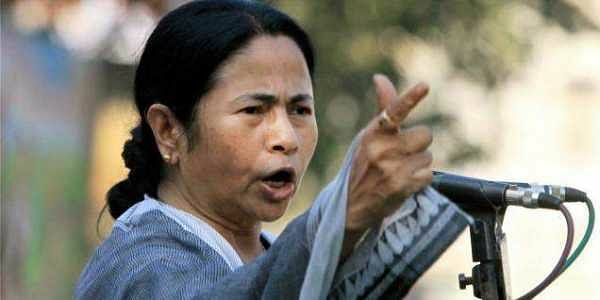 KOLKATA: West Bengal Chief Minister Mamata Banerjee on Friday said that ruling BJP wants to bring in the presidential form of election to bring dictatorship in the country. Speaking to media after meeting former Jammu and Kashmir Chief Minister and National Conference leader Omar Abdullah at state secretariat Nabanna here on Friday, the Trinamool Congress supremo said: "Federal Front is a broader coalition of all anti-BJP parties except a few regional parties that have their own state compulsions. BJP's strategy is to impose a presidential form of election to bring dictatorship in the country. We cannot let that happen. We can sacrifice anything for the sake of the country. Our ultimate aim is to defeat BJP in 2019." Speaking on the question of the front's Prime Ministerial candidate, Abdullah said: "Didi has done a great job in West Bengal. When needed, we will take her to the throne of Delhi. But these questions will be addressed after the Lok Sabha elections." "Federal Front is made of parties that don't have any differences. Whatever differences are there with other parties have to be put aside and they also have to be included to put up a united fight against the BJP in 2019 and defeat them. As a precursor to the 2019 electoral alliance, parties of the front can start raising each other's issues in the Parliament," he added. Responding to Pakistan election, Abdullah said: "He has given a positive message on taking two steps for every one step taken by India but it depends on the actions they actually take." Taking a dig at BJP, Abdullah said that the internal security situation in Jammu and Kashmir has deteriorated remarkably since 2014. Responding to Mamata Banerjee's allegations that BJP was attempting to bring dictatorship in the country, West Bengal BJP general secretary Sayantan Basu said: "There is no greater dictator than Mamata Banerjee in the country. Her party workers have killed 25 BJP workers in panchayat elections and her administration has filed over 1.5 lakh cases against 10,000 BJP workers in the state over the past six months." "Mamata Banerjee is daydreaming to become the Prime Minister but she should remember that no Congress-supported PM be it Chaudhary Charan Singh, Inder Kumar Gujral, Chandrasekhar or H D Devegowda lasted more than one year as the PM," he added. A left-front leader in West Bengal Assembly, Sujan Chakraborty said: "Mamata Banerjee has understood that the people of the country are not supporting the BJP. Instead of going around with the Federal Front business, she should take genuine steps to defeat the BJP. The Federal Front will only consolidate BJP's powers."